"God Save the Queen" is the United Kingdom's national Anthem. The words and title and are adapted according to the gender of the current Monarch; such that "Queen" becomes "King", "she" becomes "he", when a King reigns. The original author is not known, an attribution to the English composer John Bull (1562 or 1563 – 1628) is sometimes made. The first publication of the tune in its current form was produced in 1744 in the "Thesaurus Musicus". Thomas Arne wrote a arrangement of the tune for the Drury Lane Theatre around 1745. 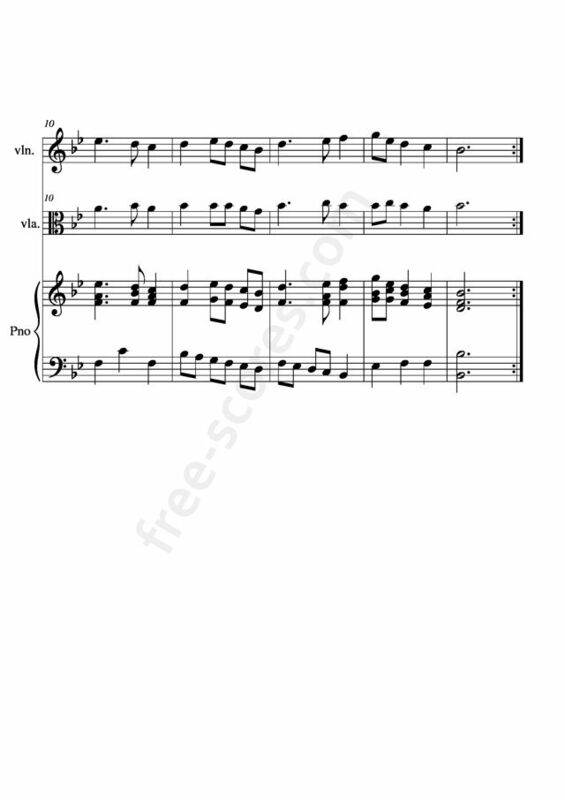 This is a free sheet music for violin, viola and piano. 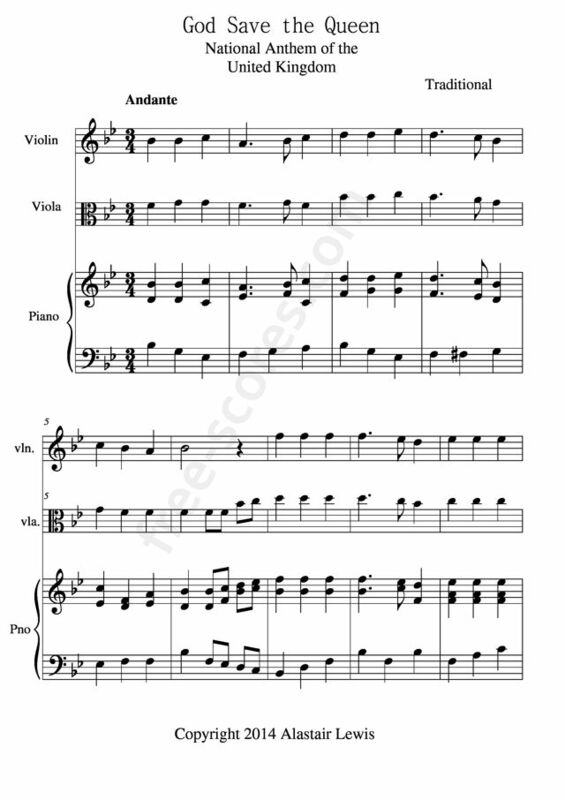 All solo violin best sellers sheet music. 2 scores found for "God Save the Queen"